Best Body Exfoliators - Best Body Scrubs. Scrub Yourself Soft: Best Body Exfoliators. Getting rid of dead skin cells all over your body keeps your skin soft and smooth, and gently massaging a good body exfoliator on your skin can also improve circulation for a beautiful skin tone. Whether you’re just looking to exfoliate dry patches or experience smoothness all over, try some of the best products that can help you achieve a great result. Check out some of the best body exfoliators, each with their own unique formula, and you’ll notice an instant improvement in the way your skin feels and looks. 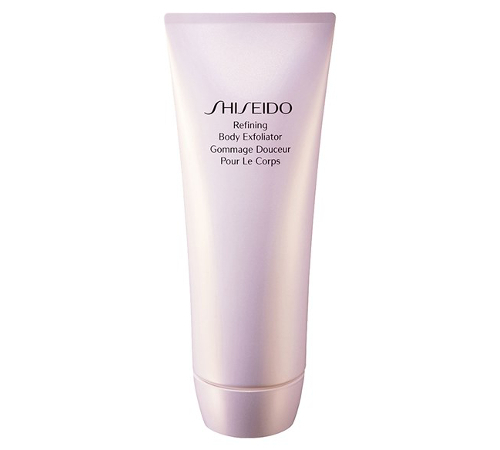 Using specially designed micro-beads, the Shiseido Refining Body Exfoliator can give your skin a smooth texture and improve micro-circulation. Gently massaging it on your skin can also brighten and even your skin tone. 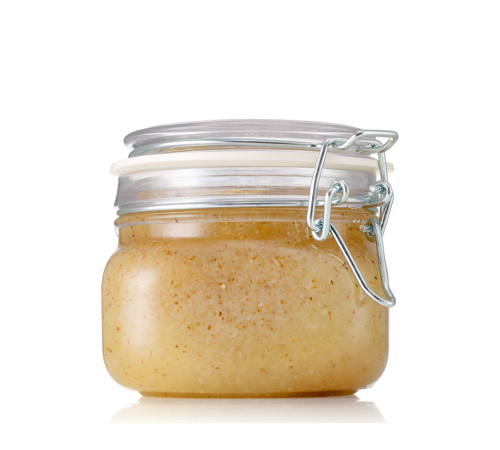 Another bonus of this high-performance body scrub is the fact that it keeps your skin moisturized. Exfoliate thoroughly before using any self-tanning products with one of the best body exfoliators. 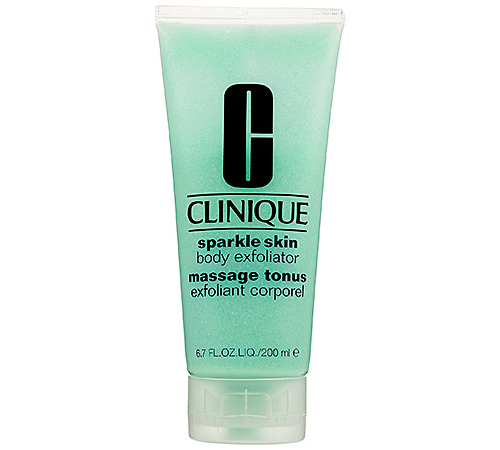 Clinique’s Sparkle Skin Body Exfoliator is perfect for dry patches, like your knees, elbows and heels, but it also invigorates your skin, reducing flakiness and dullness. You can even use it daily for a polished and sleek look. Add ginger to rich sweet almond, macadamia, kukui nut, and soybean oil for one of the best scrubs around. The emolient oils keep your skin hydrated while the sea salt helps you get rid of the dead skin cells, leaving your skin beautifully smooth. Use the Origins Ginger reinvigorating and refreshing body scrub in the shower for the best effects. Using carthame oil, this delicate cream is one of the best body exfoliators. 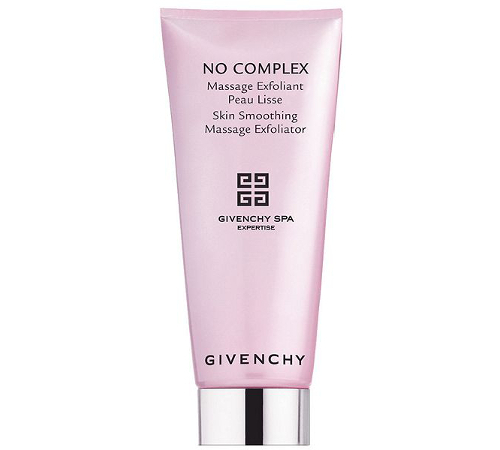 Get a silky-soft finish with Givenchy’s No Complex Skin Smoothing Massage Exfoliator by getting rid of impurities along with dead skin sells. Reinvigorate your skin in just a few minutes with this excellent mix of gentle exfoliating particles and hydrating ingredients. 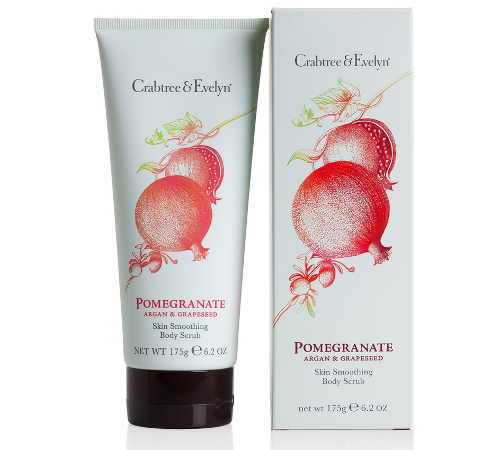 Using sunflower wax to gently remove dead skin cells, the Crabtree & Evelyn Pomegranate Body Scrub also offter the invigorating scent of pomegranates and replenishing power of jojoba, sesame and pumpkin seed oils. It’s the perfect choice if you’re looking for a product without mineral oil, parabens, phthalates, or propylene glycol. 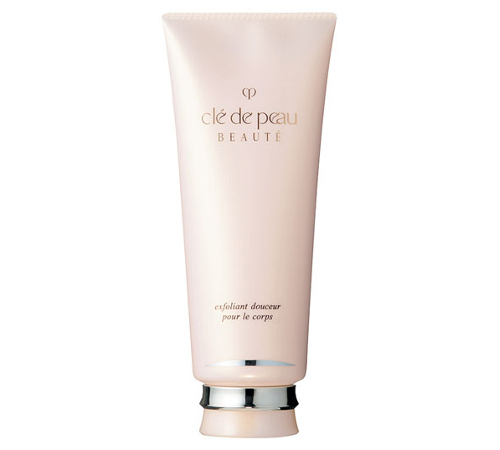 With a mild cleansing effect, Clé de Peau Beauté Smoothing Body Exfoliator is definitely one of the best body exfoliators. Use it during your shower without a separate body cleanser and you’ll enjoy how it leaves your skin polished, soft, smooth, and radiant. Whether you’re looking for an exfoliator to prepare your skin for self-tanning or simply to make it glow, MD Formulations’ Face & Body Scrub leaves your skin soft and with an improved texture. 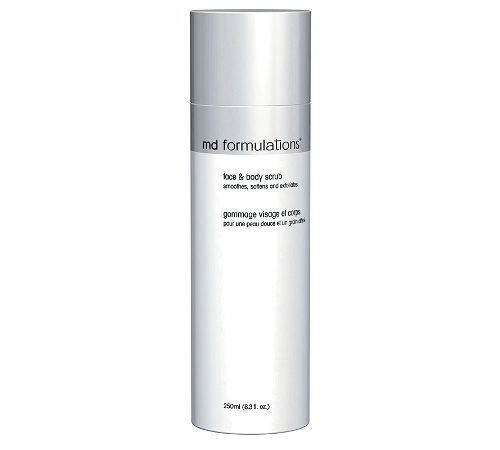 This non-comedogenic body exfoliator is particularly effective for dry and mature skin. 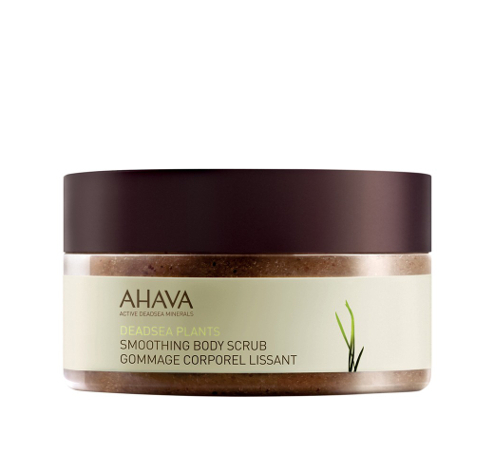 Using natural minerals, nut shells and plant seed, Ahava’s Dead Sea Plants Smoothing Body Exfoliator is one of the best body exfoliators thanks to its clarifying and smoothing effect on your skin. From Moroccan argan shells to grape seeds, its mixture of powerful ingredients nourishes and softens your skin. 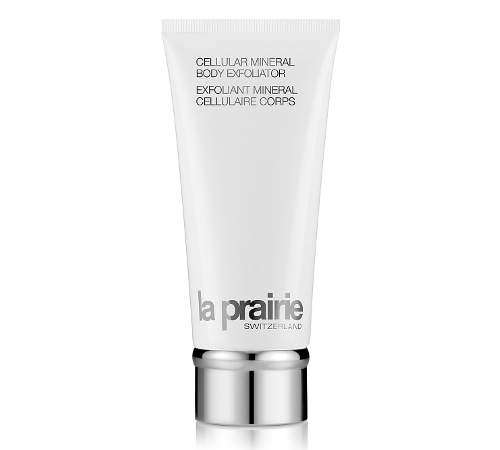 Get younger looking skin with the help of the La Prairie silky gel exfoliator that combines minerals with an exclusive Cellular Complex. Remove dead skin cells to reveal a smooth texture that allows your skin to better benefit from moisturizers. 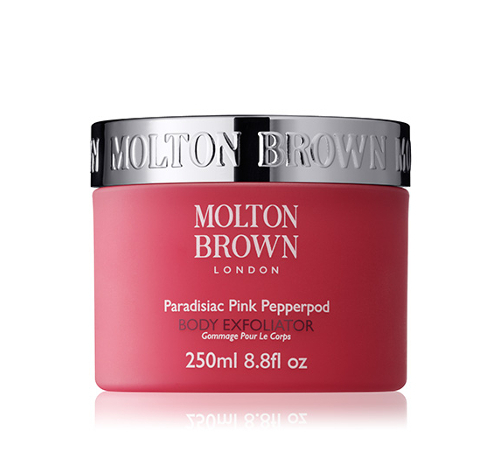 Try one of best body exfoliators and enjoy its aromatherapy benefits thanks to its mixture of pink pepper and patchouli. With a creamy texture, Molton's spicy scrub uses exfoliating bamboo stem particles to leave your skin smooth and soft, and its creamy texture also leaves behind a reinvigorating aroma of African ginger perfume oil.